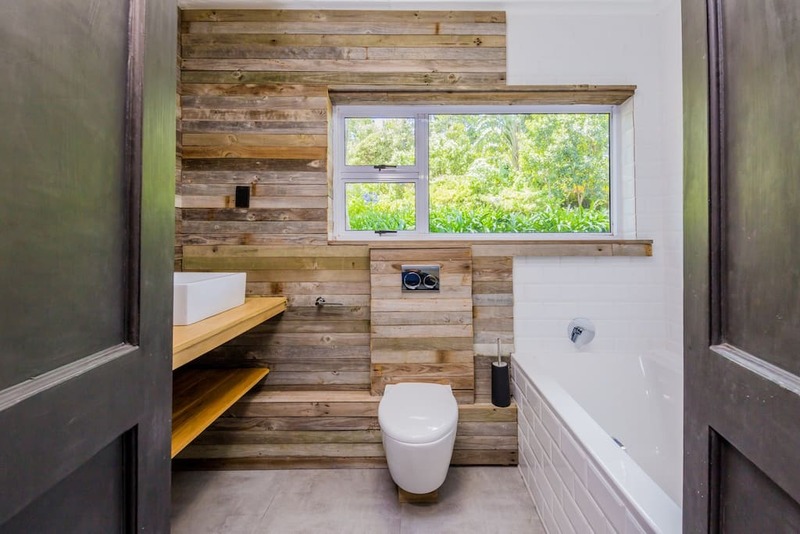 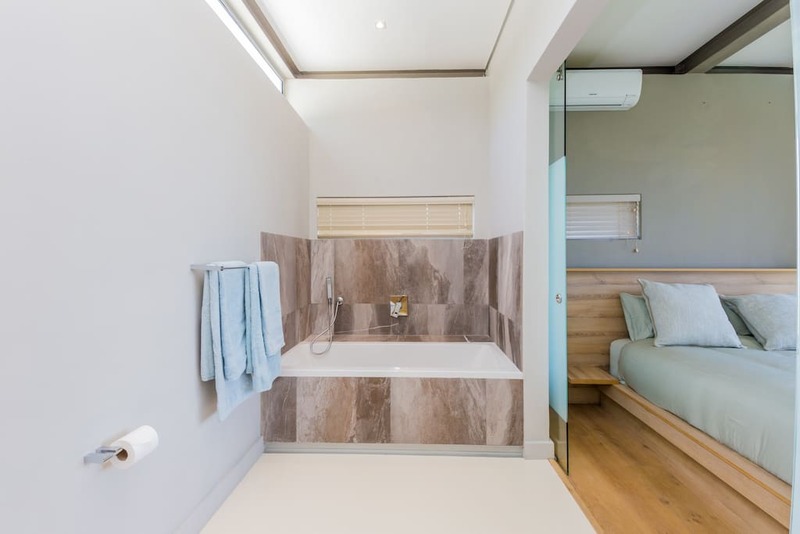 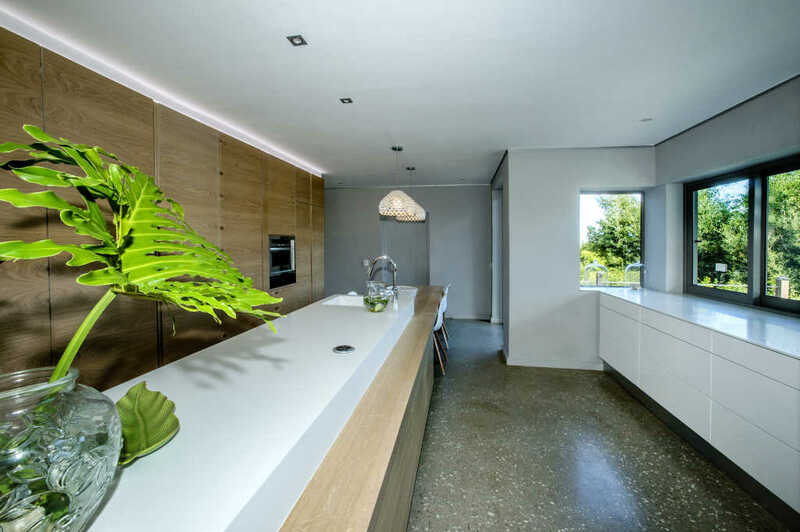 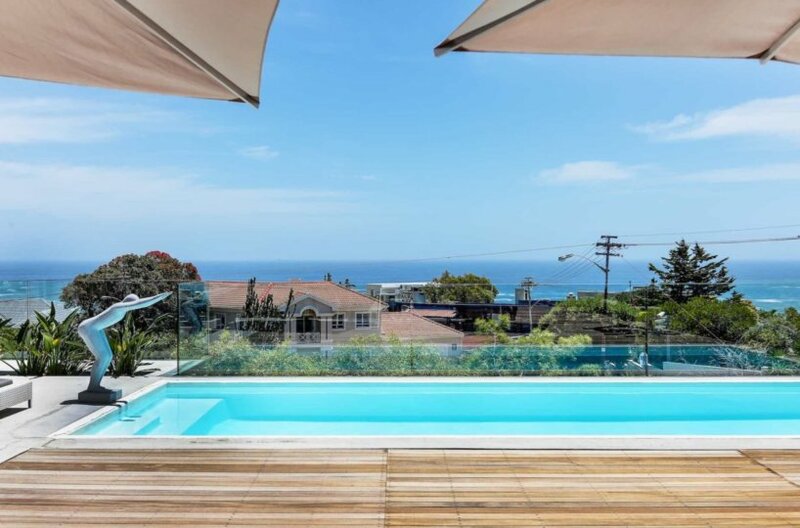 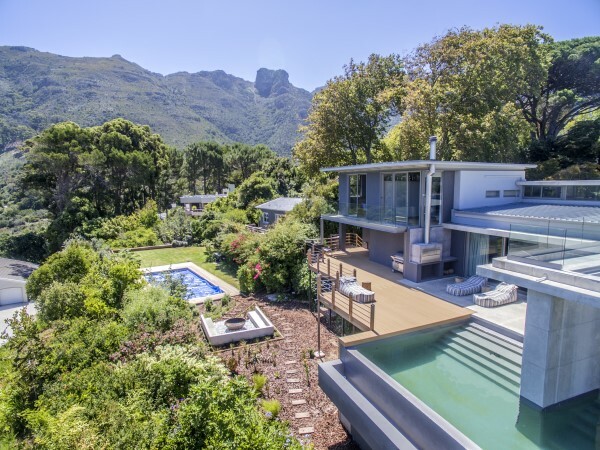 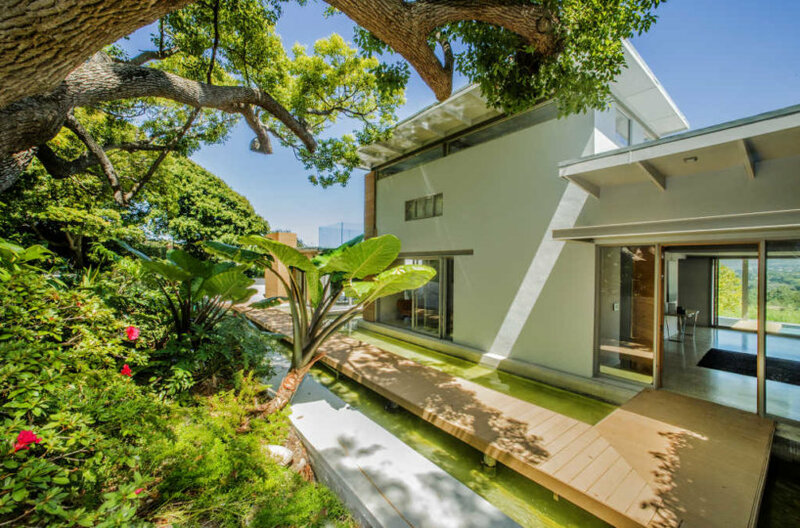 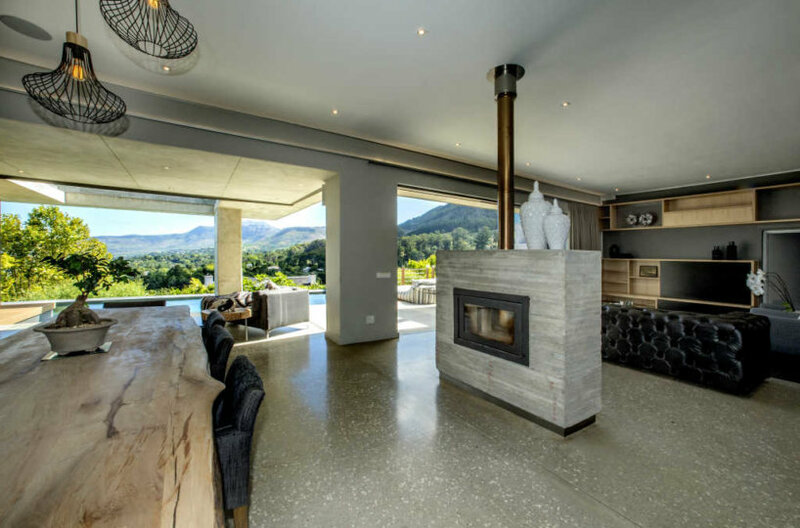 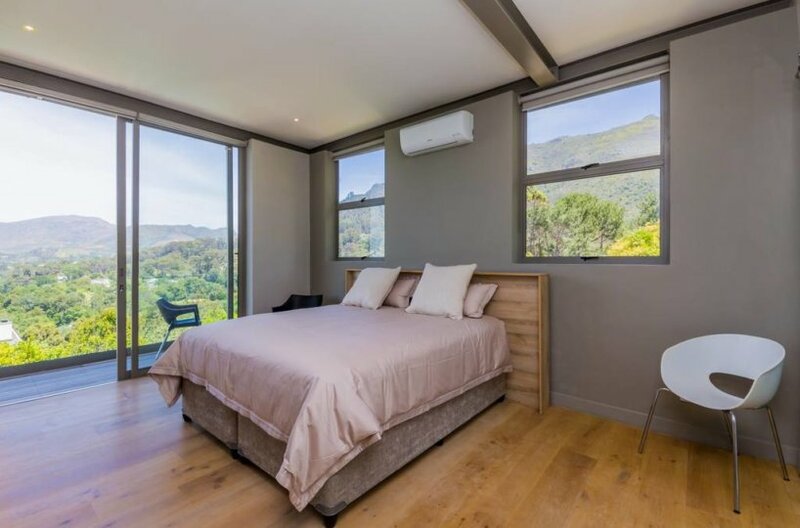 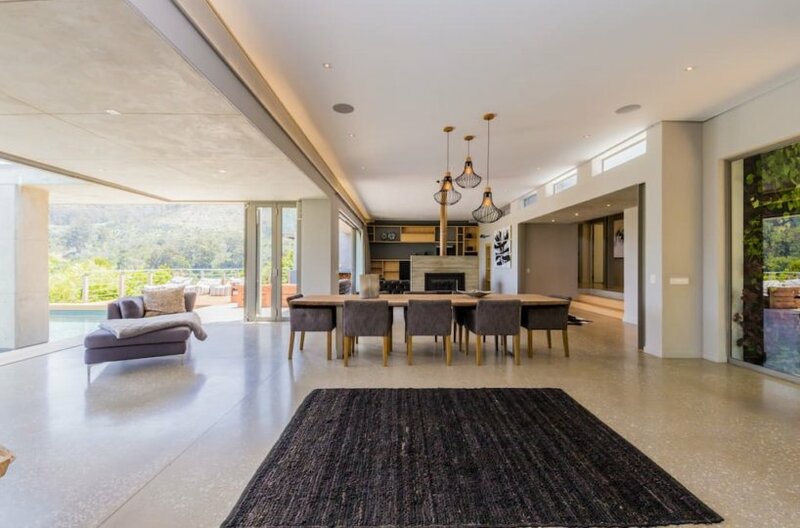 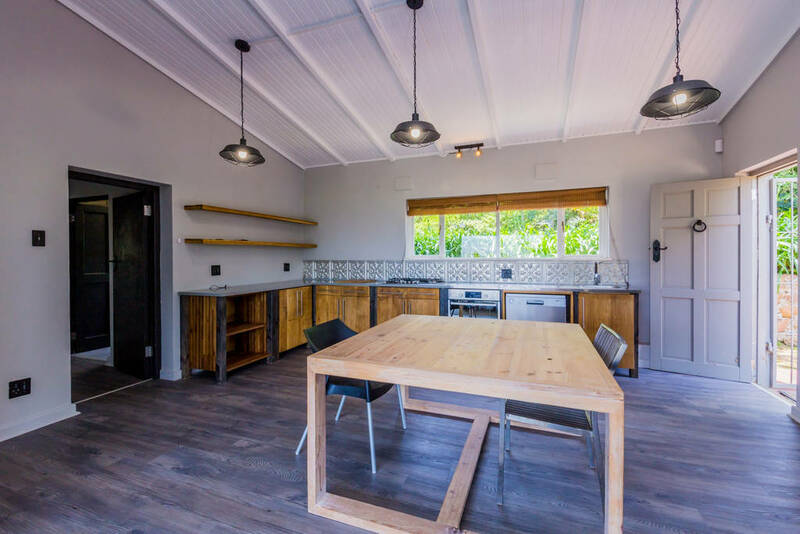 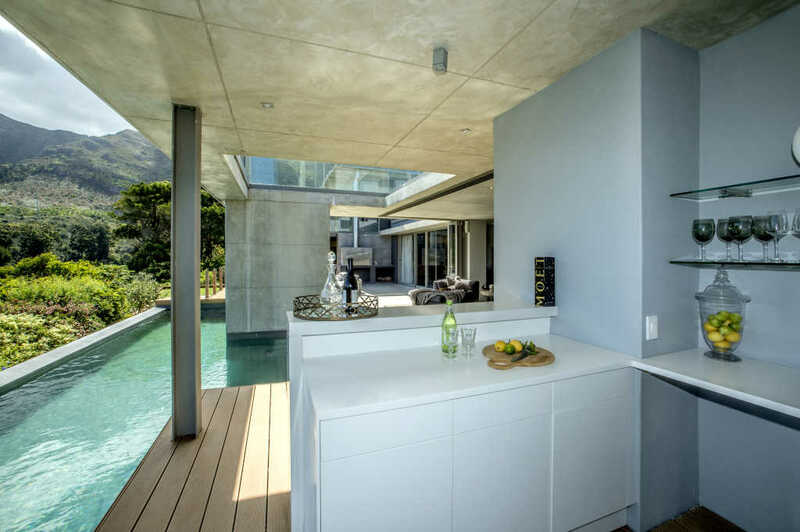 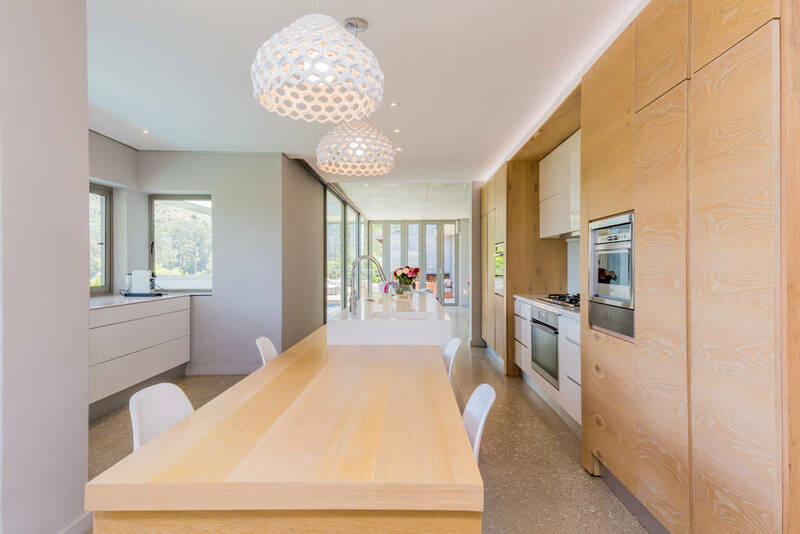 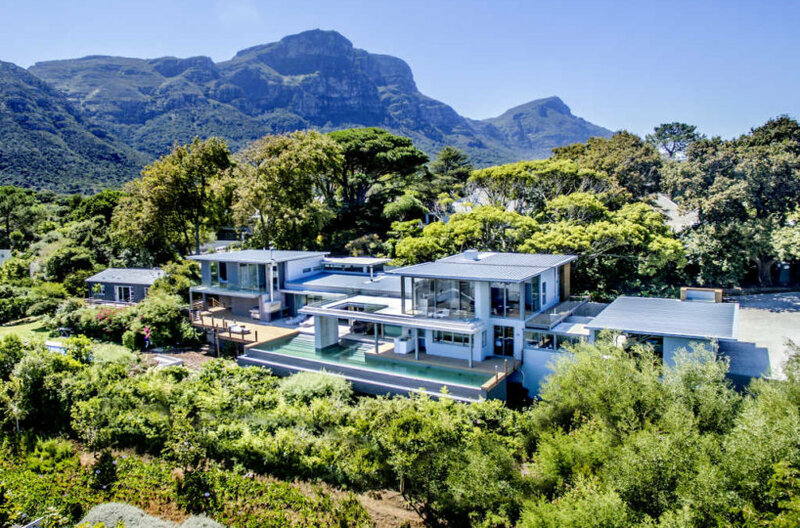 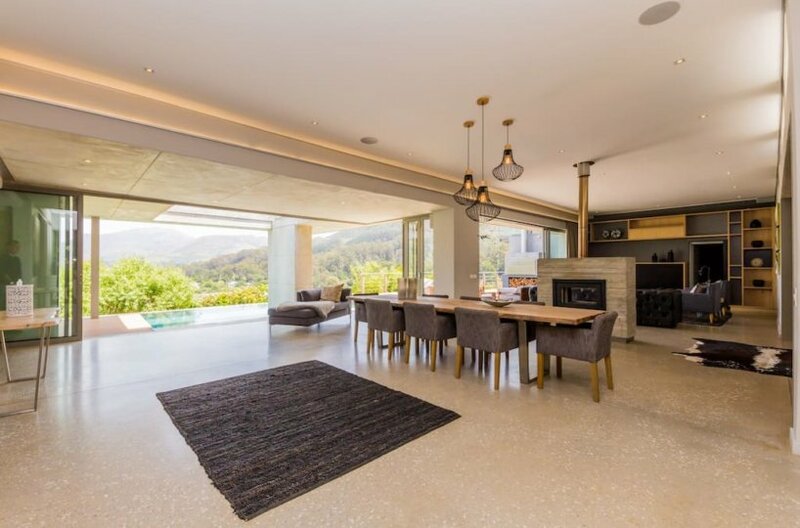 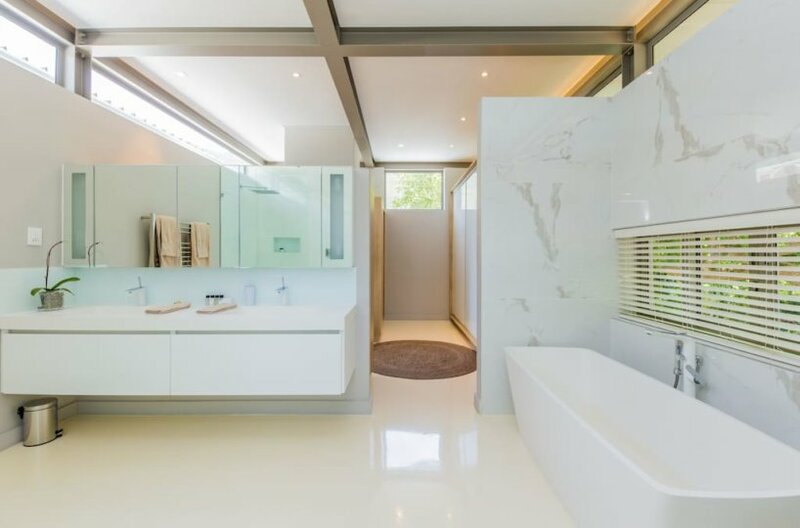 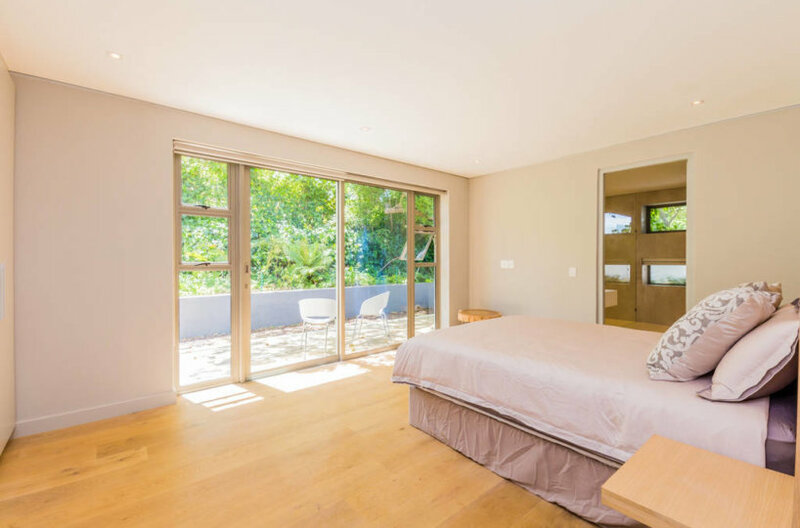 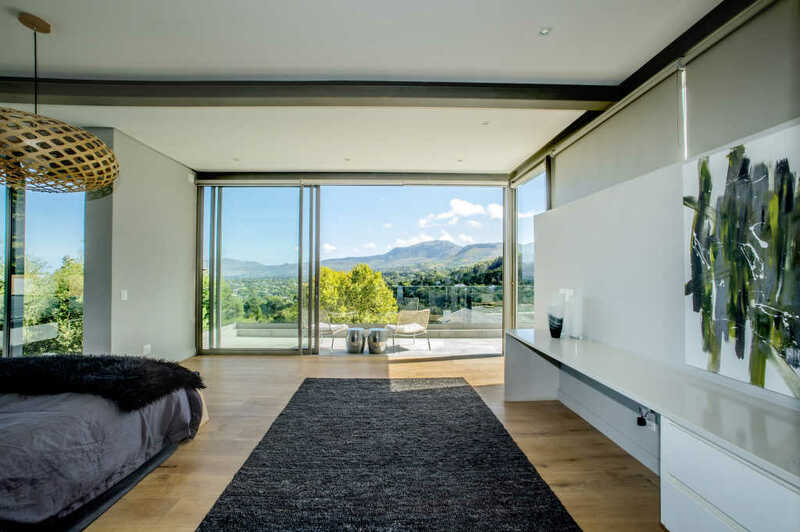 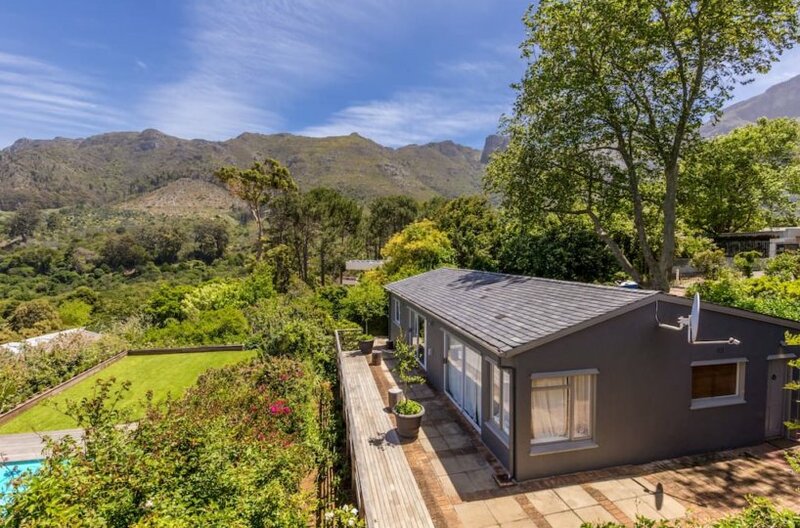 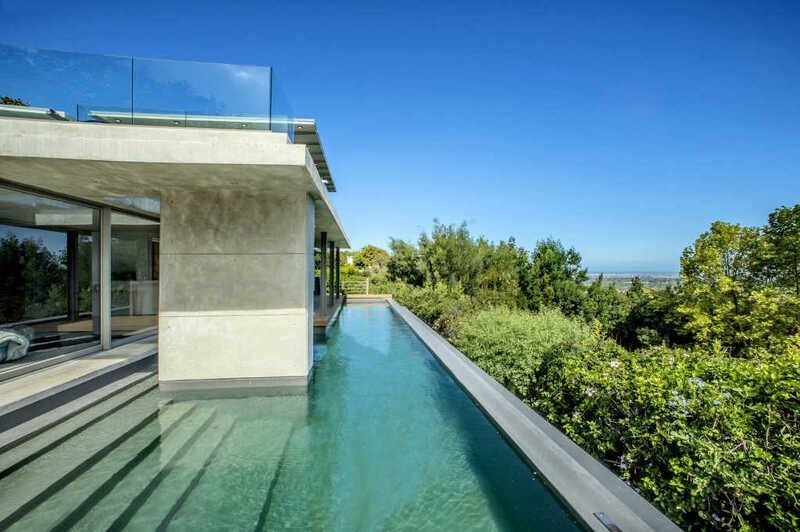 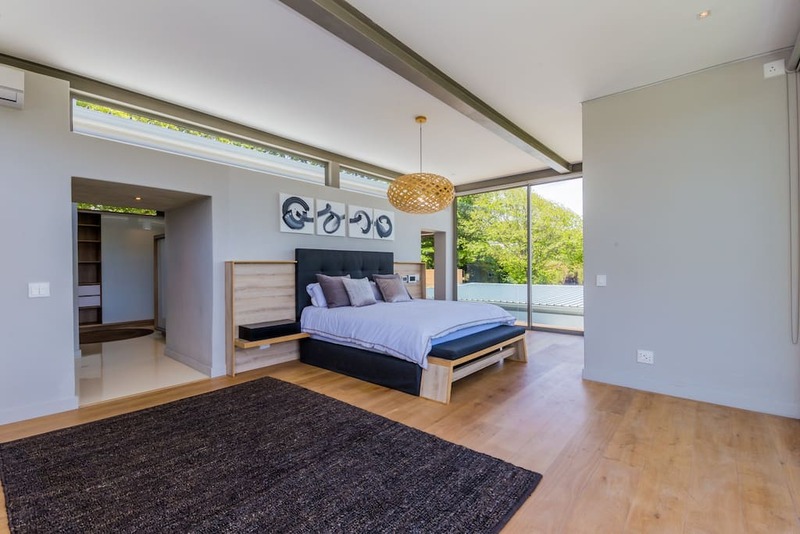 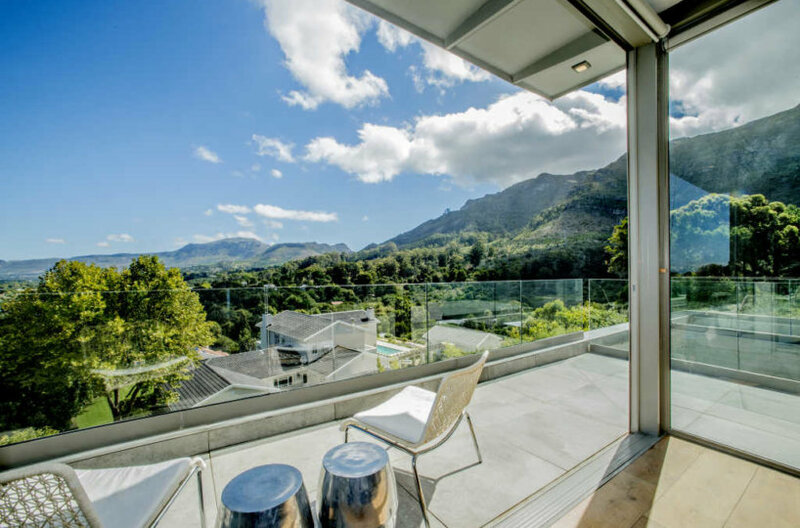 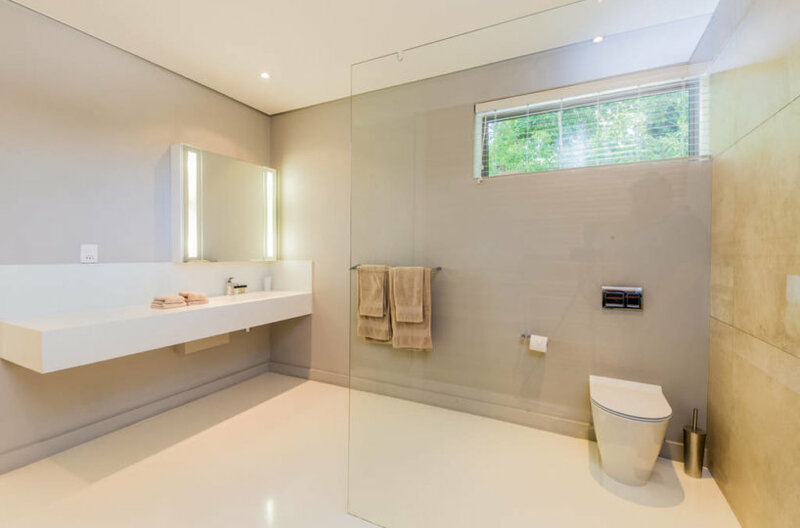 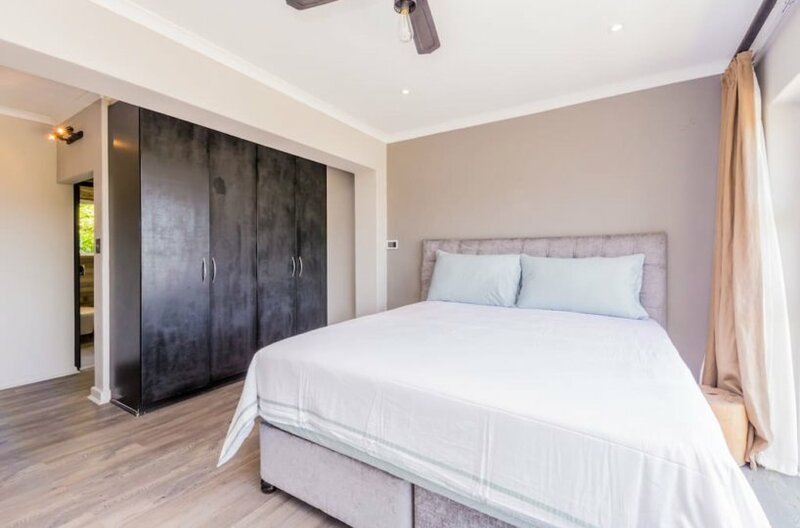 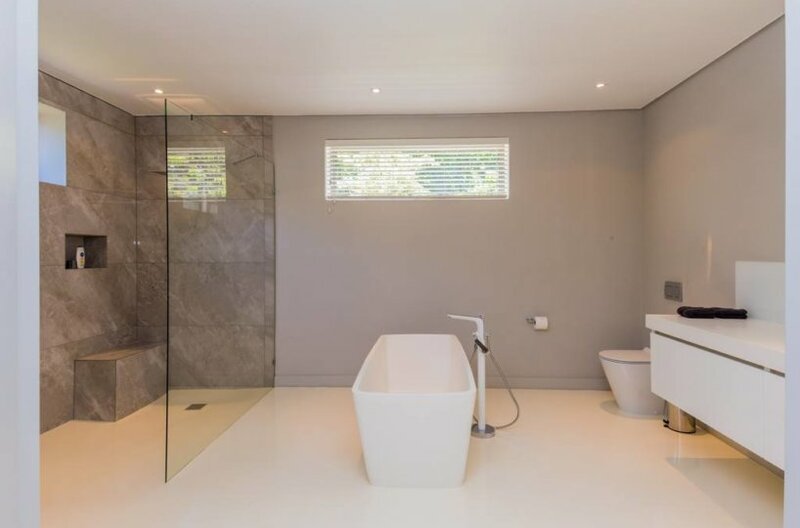 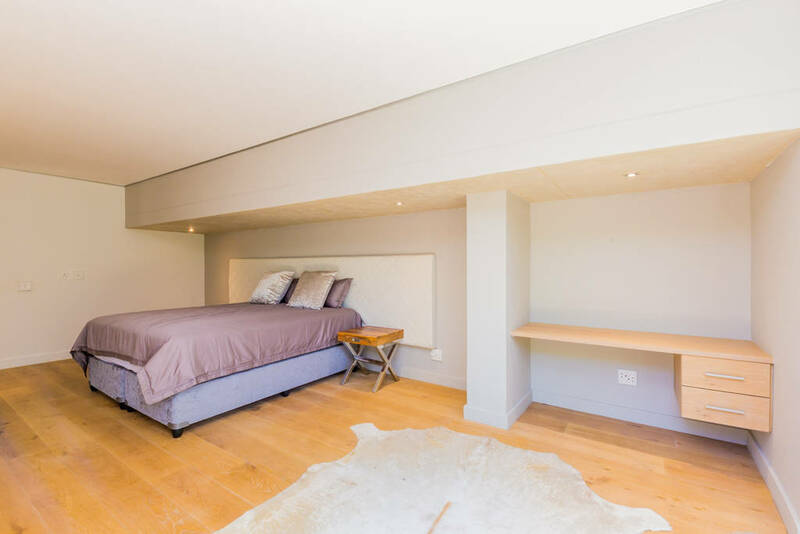 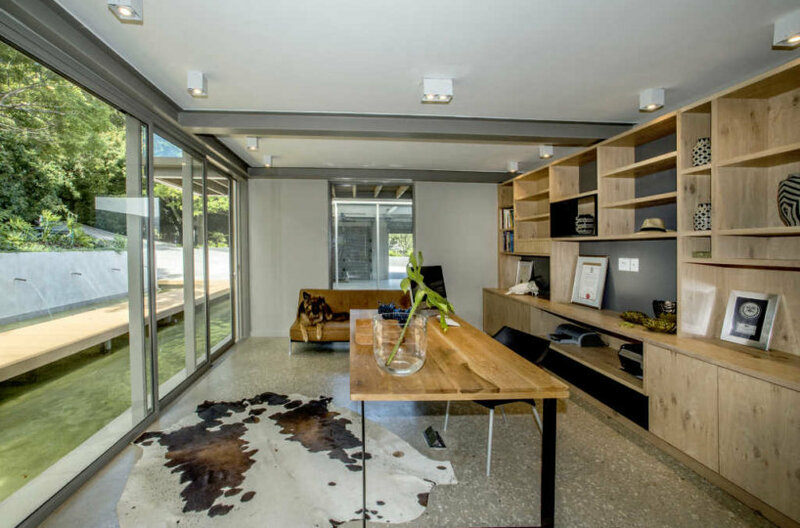 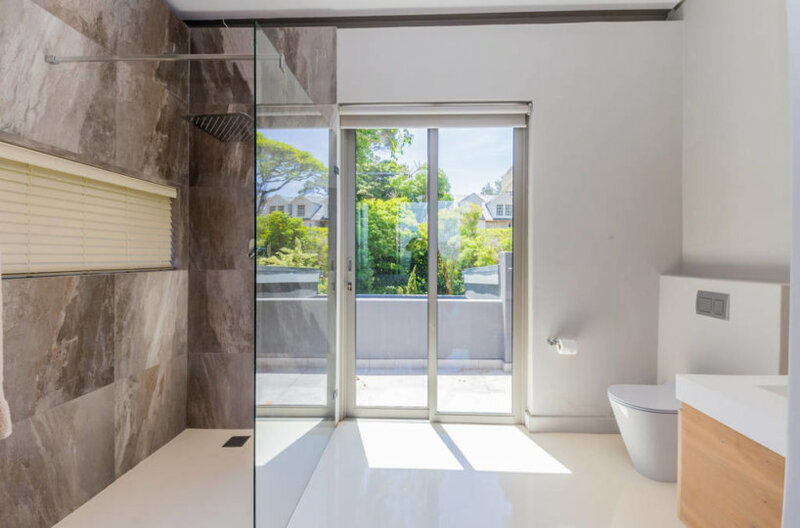 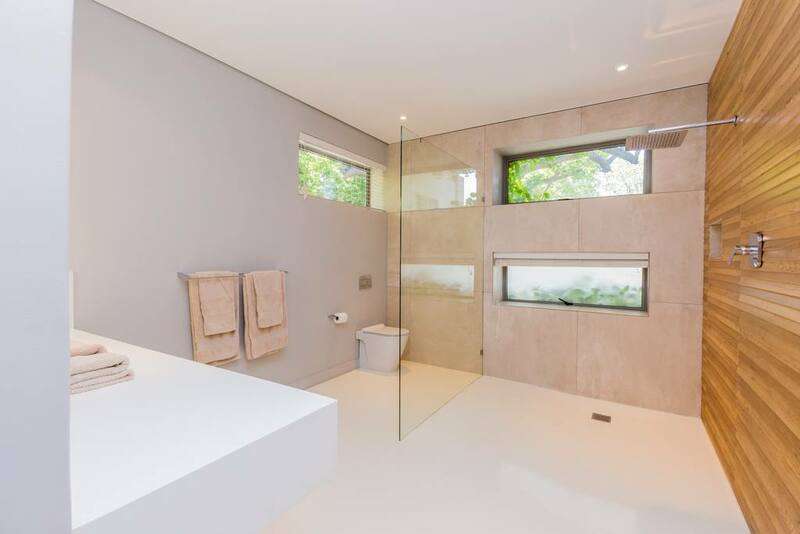 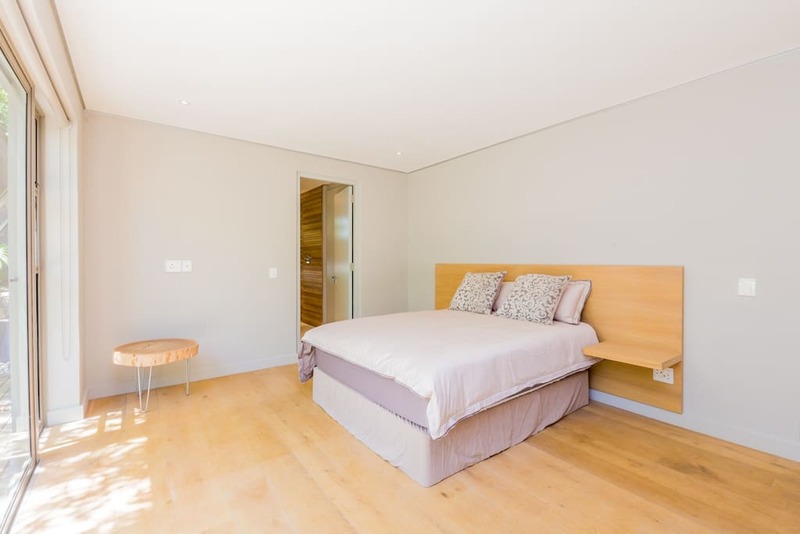 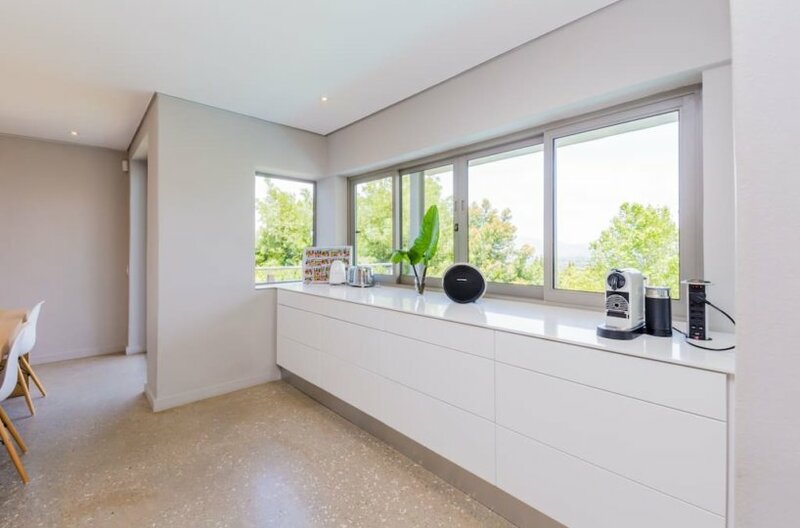 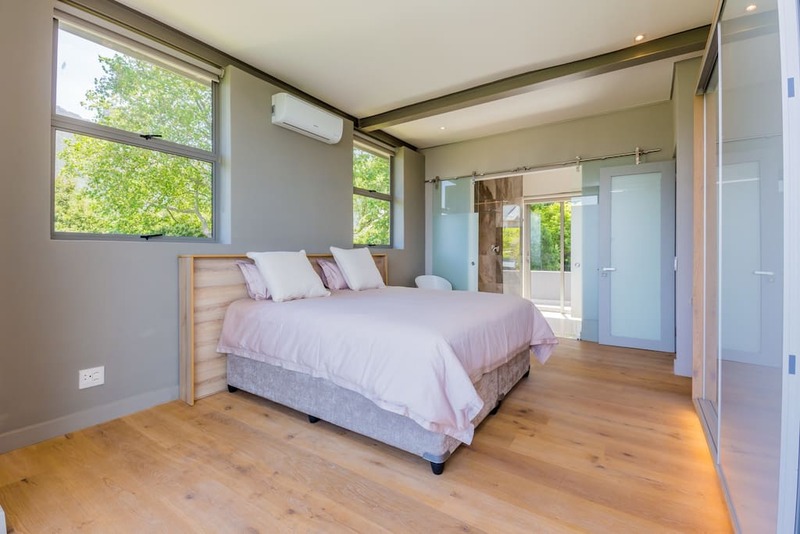 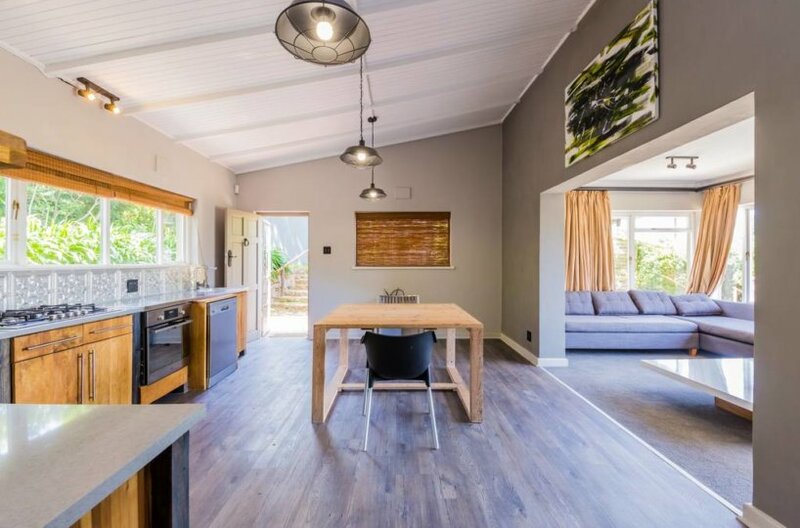 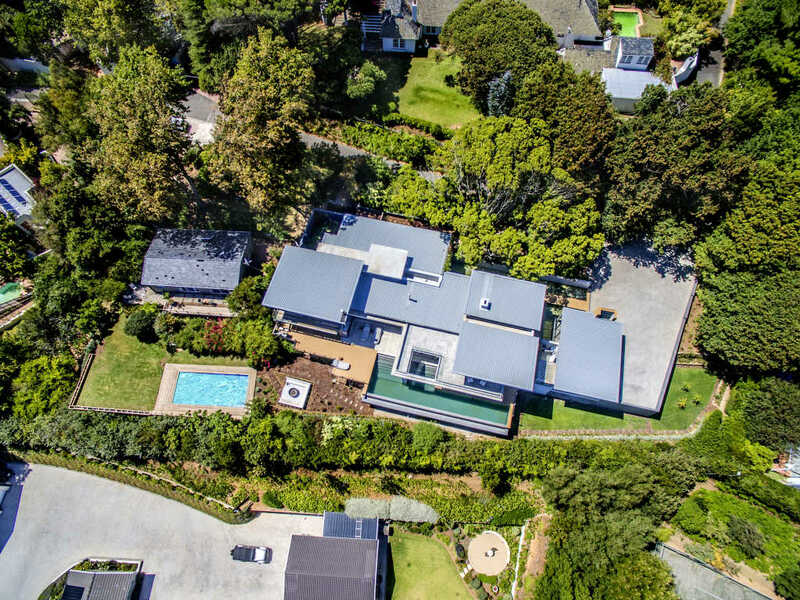 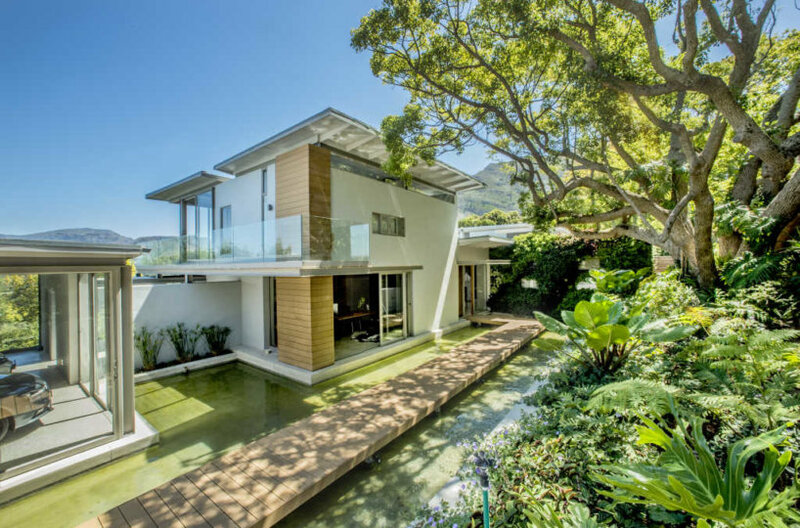 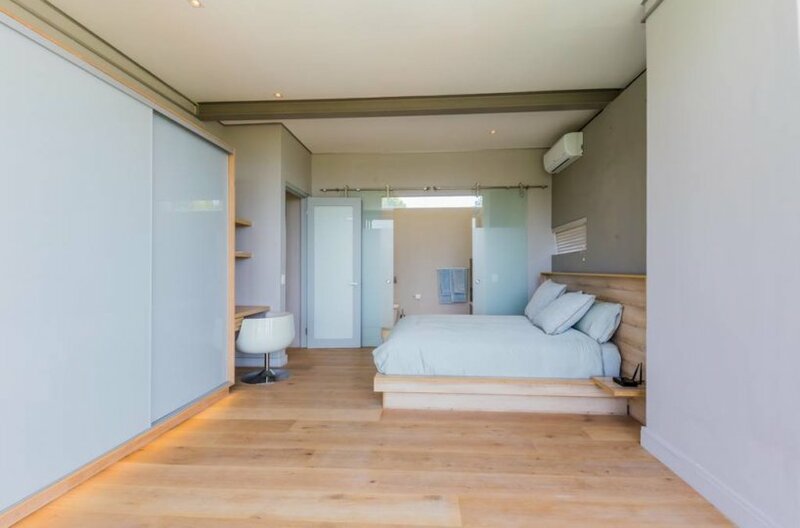 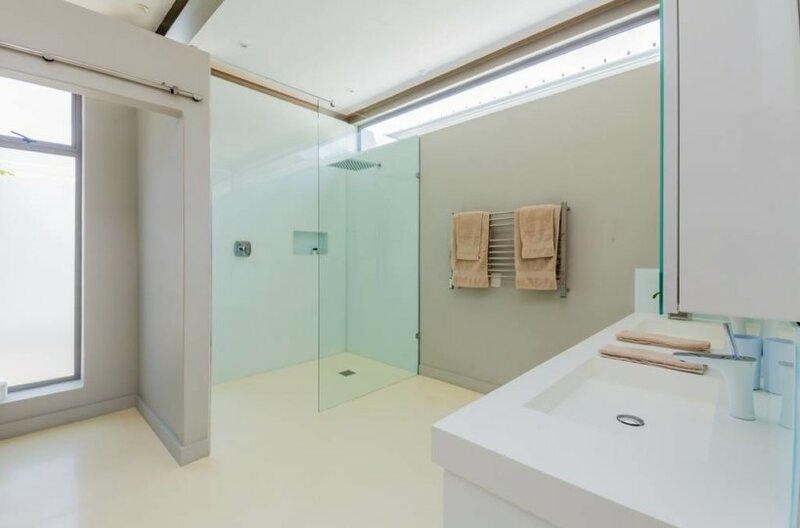 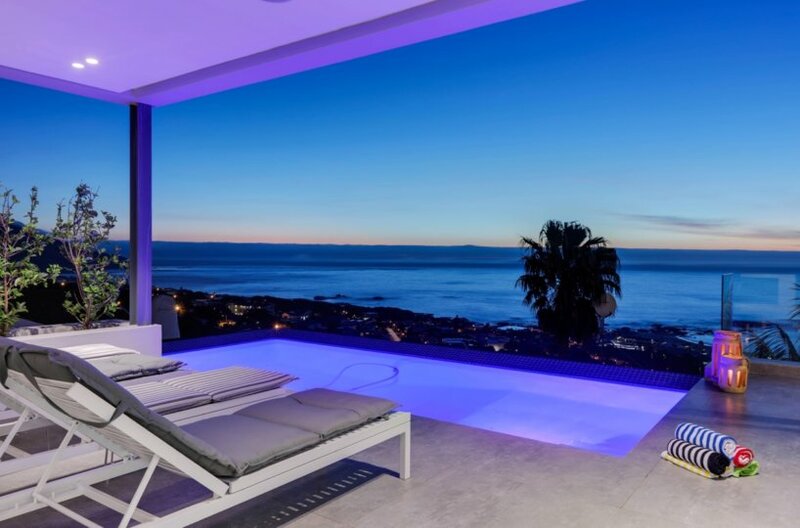 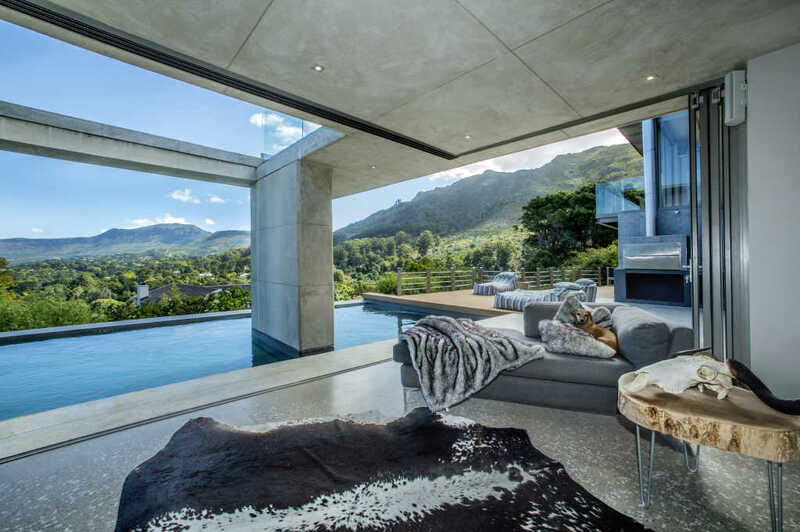 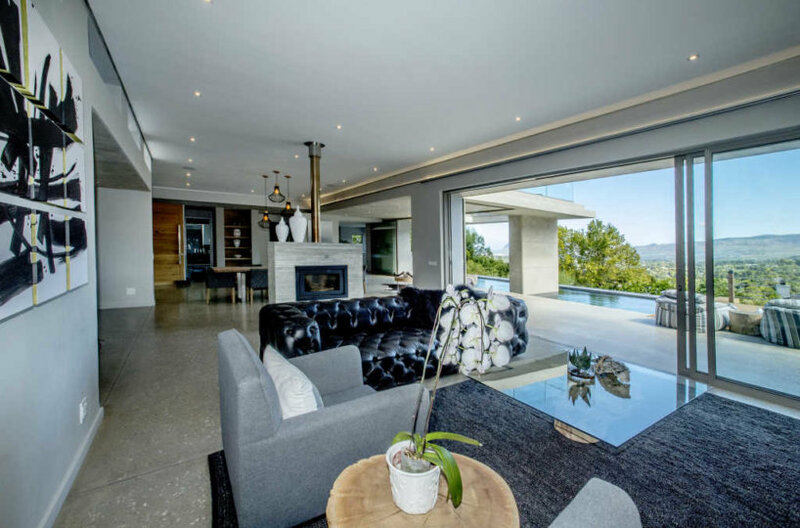 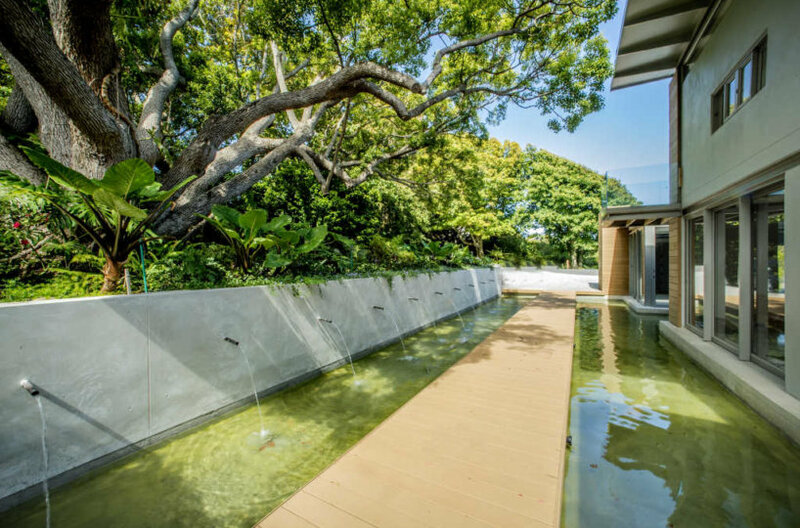 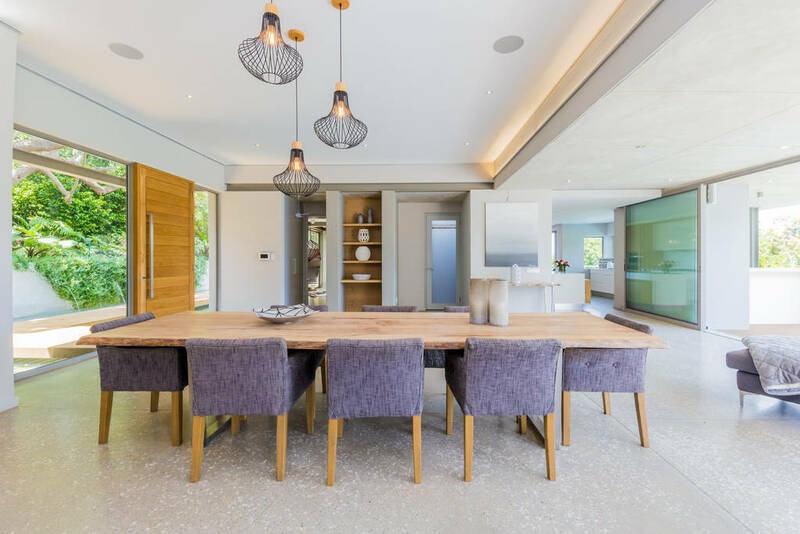 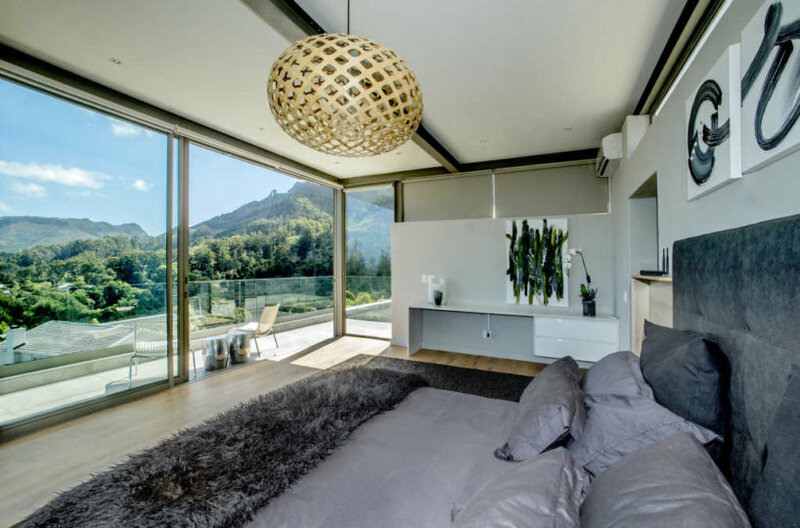 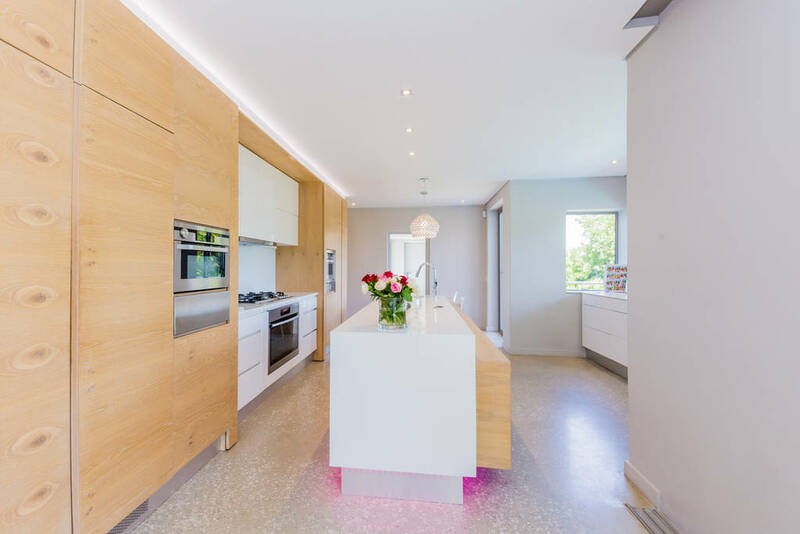 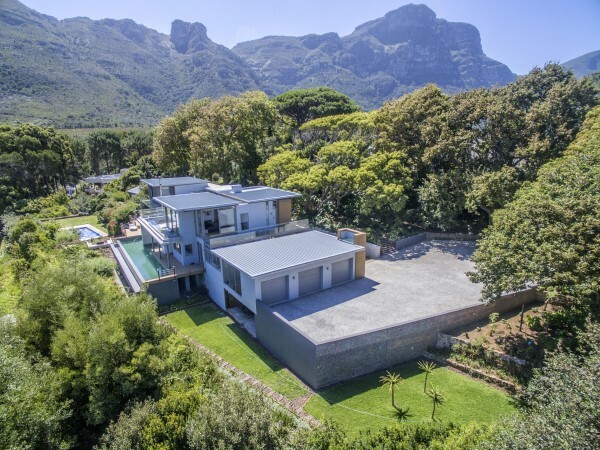 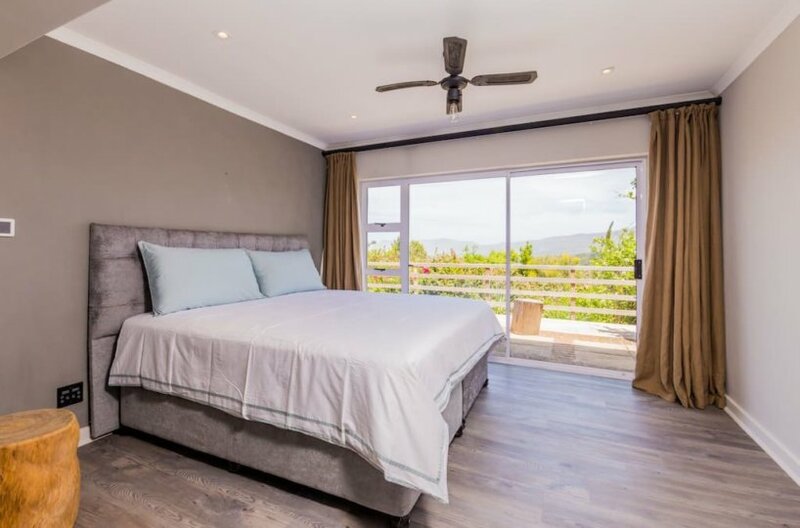 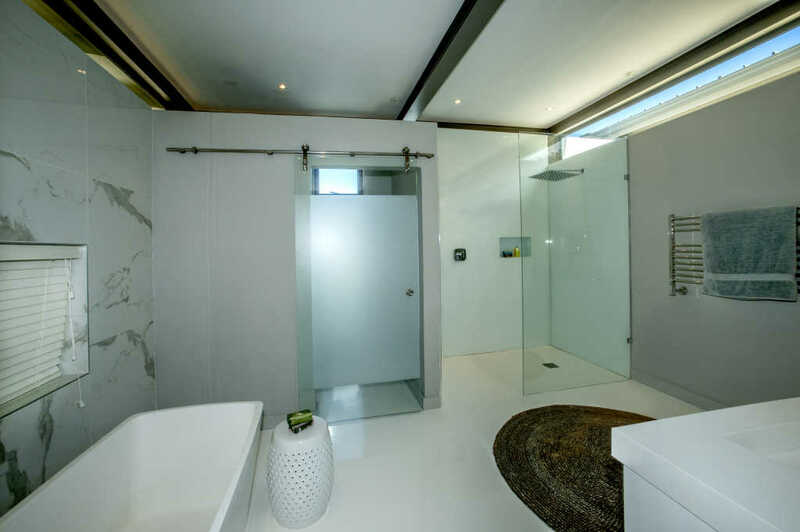 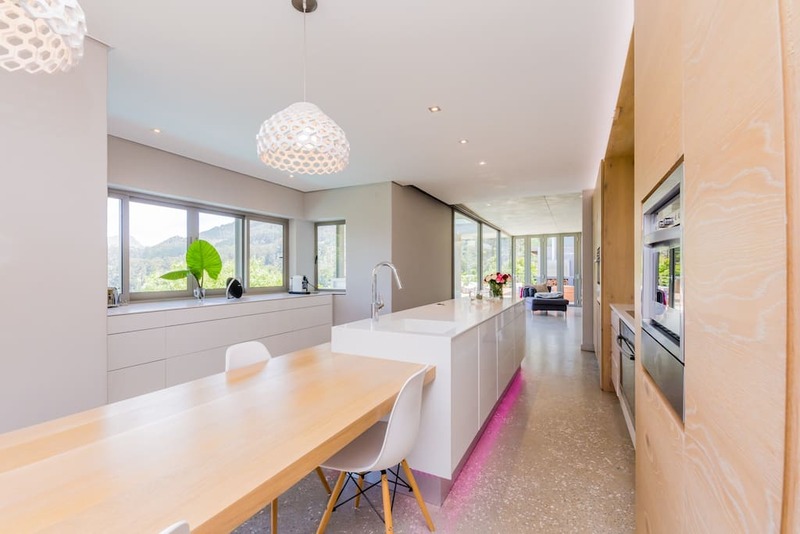 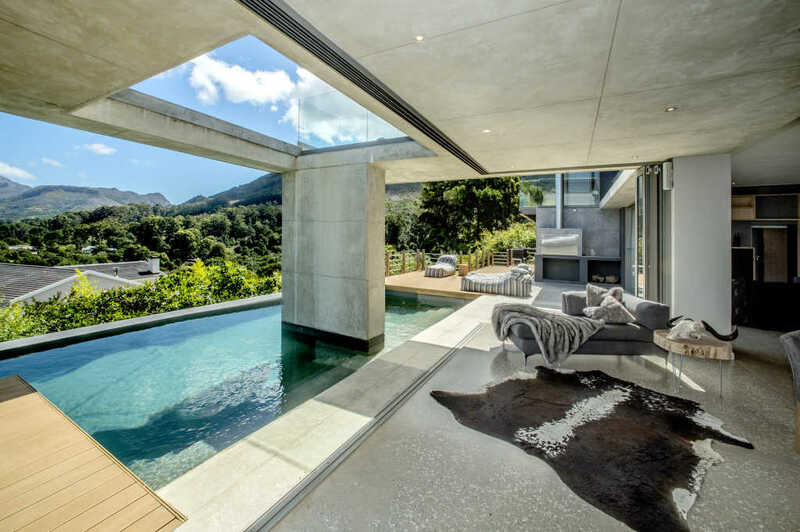 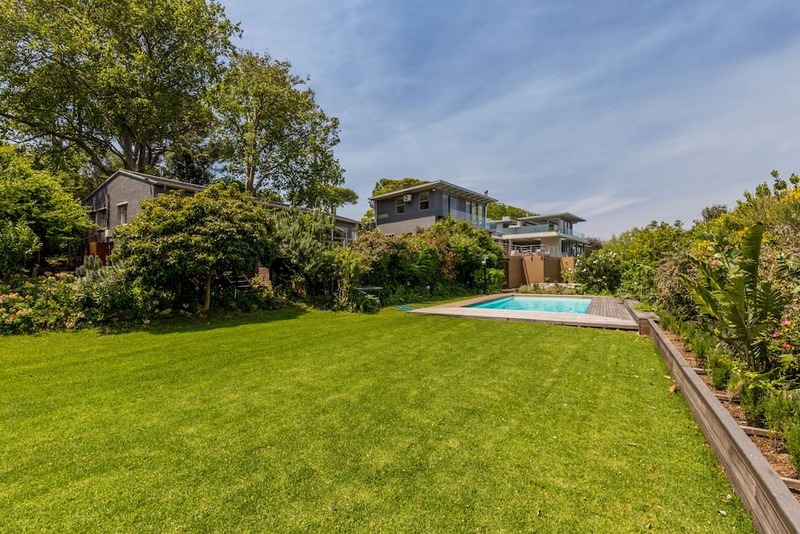 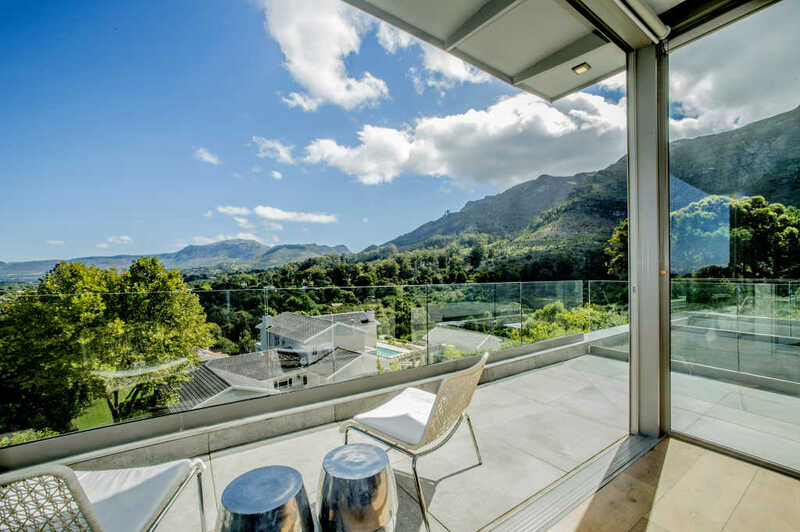 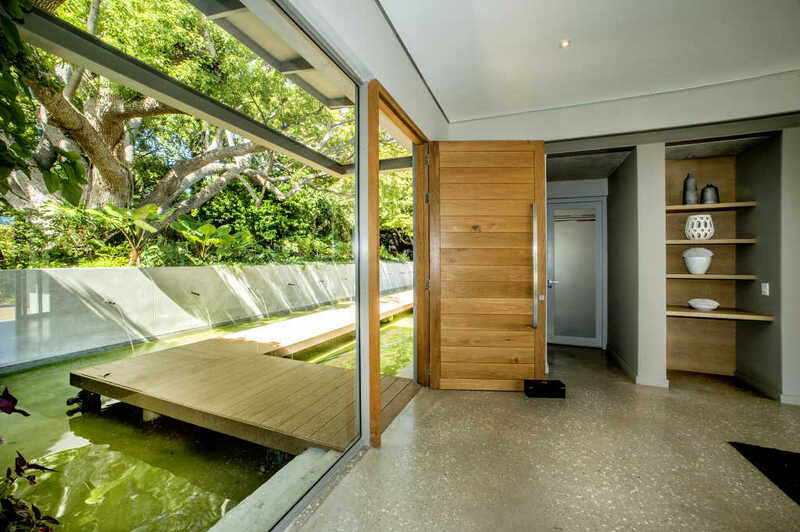 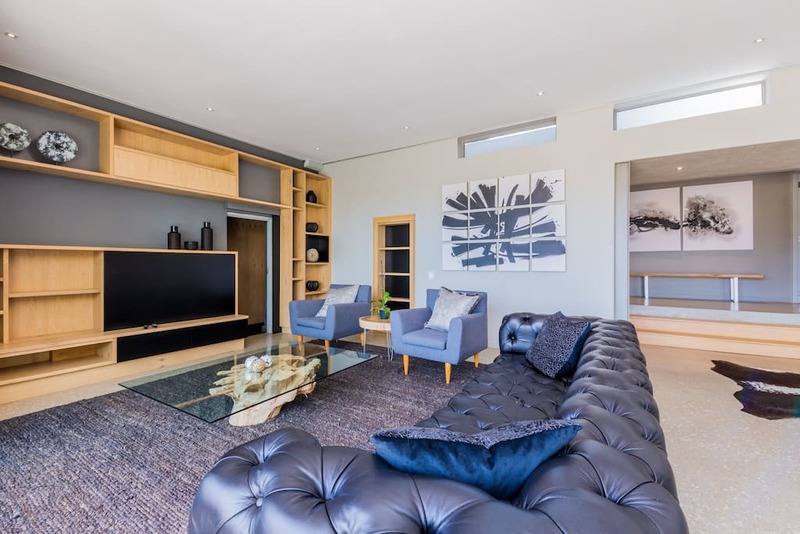 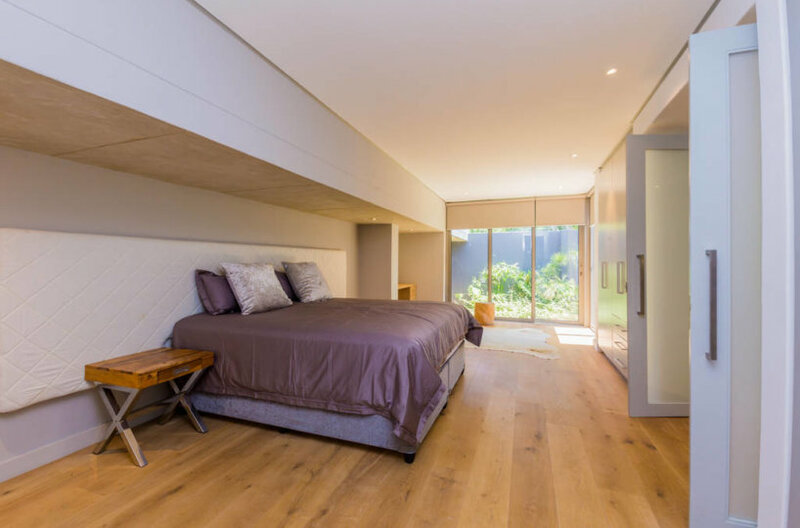 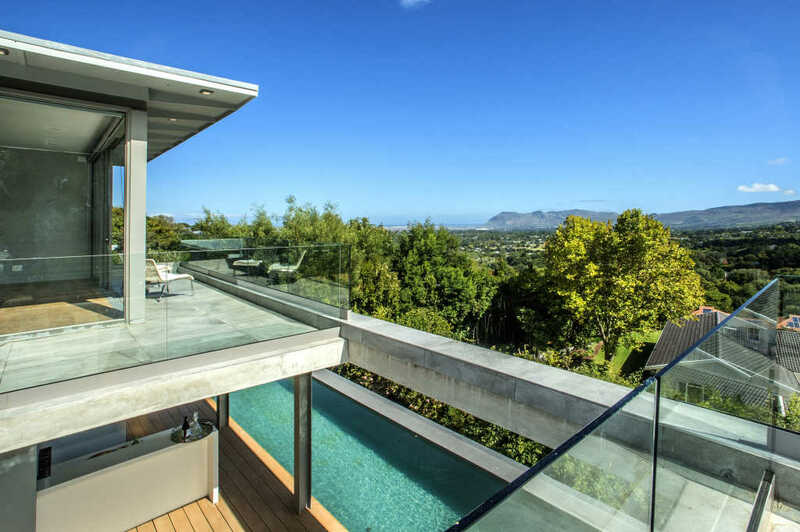 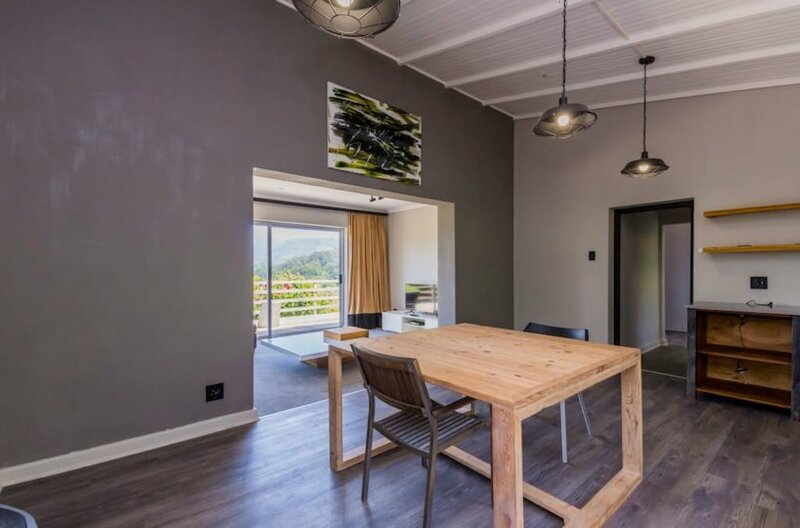 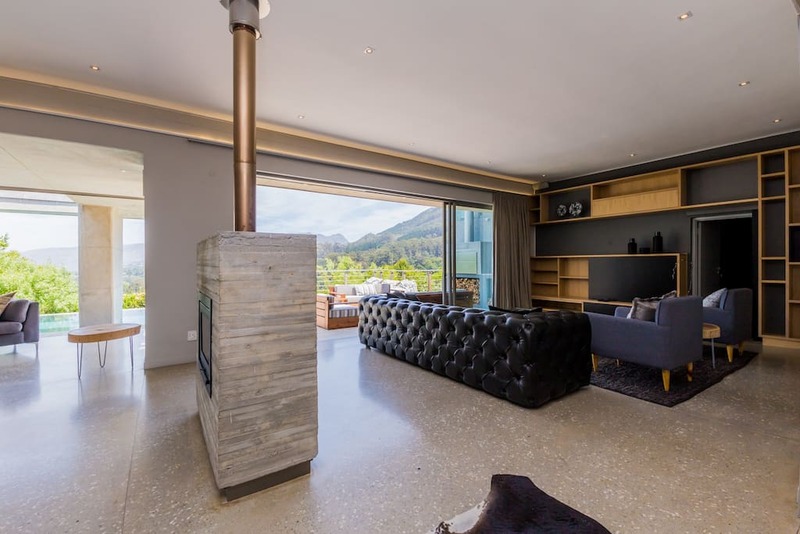 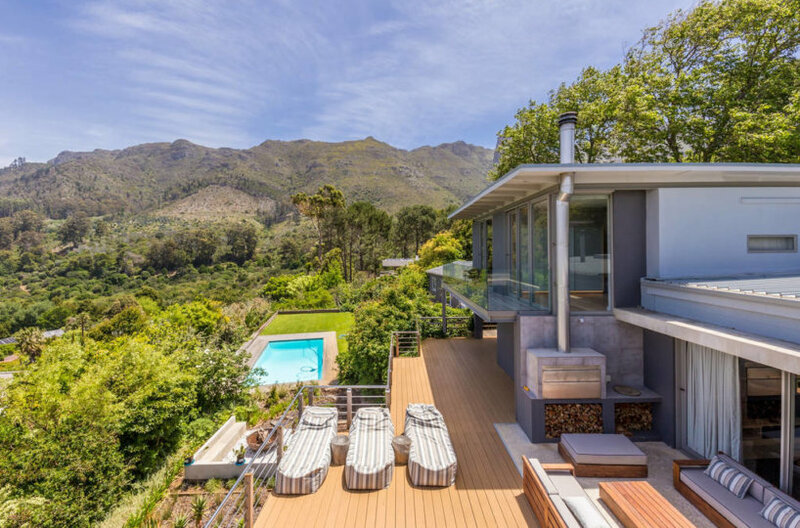 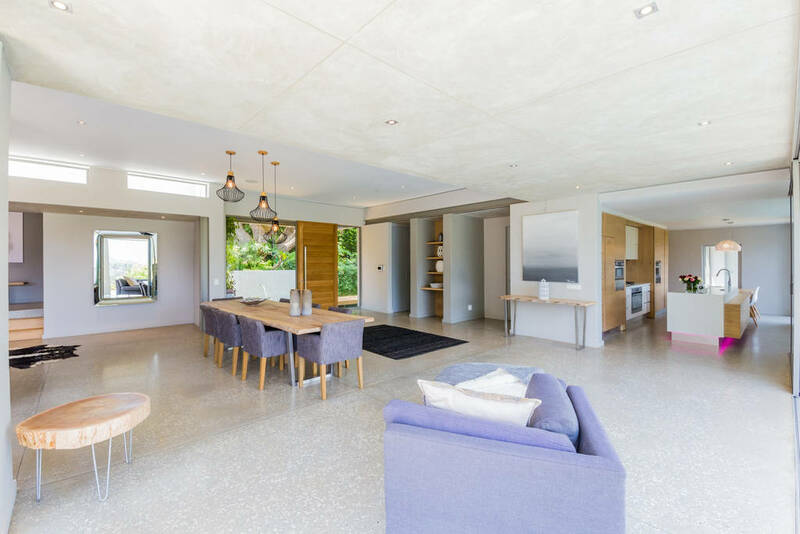 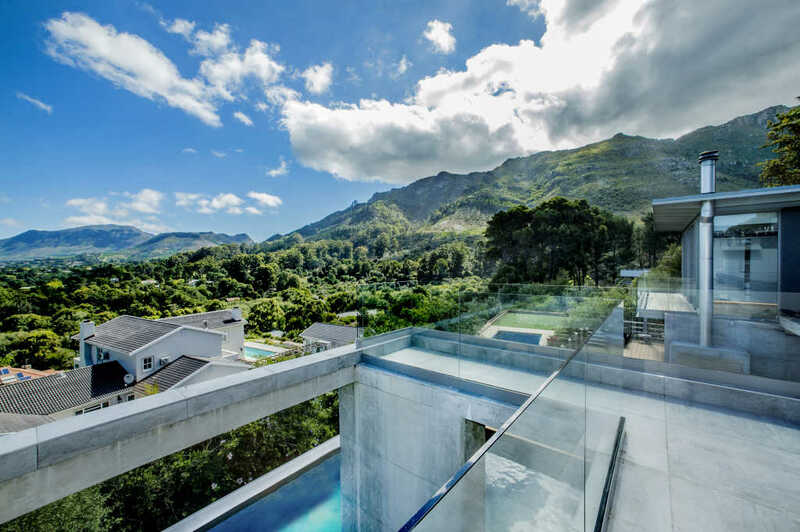 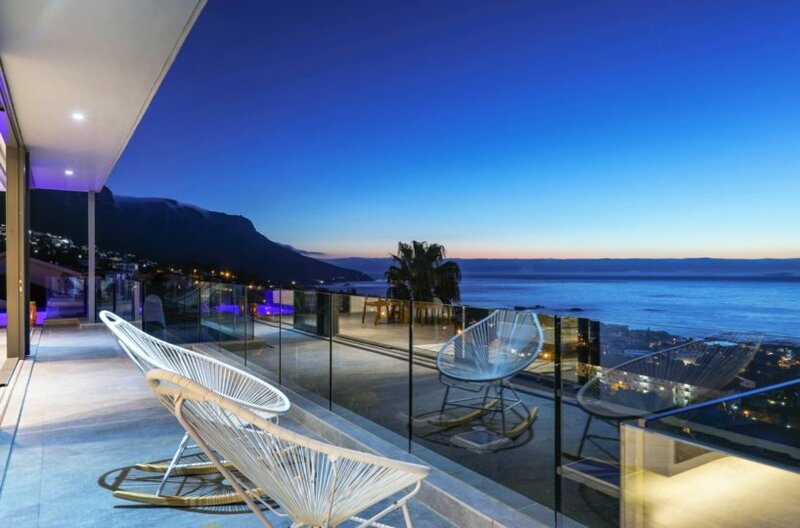 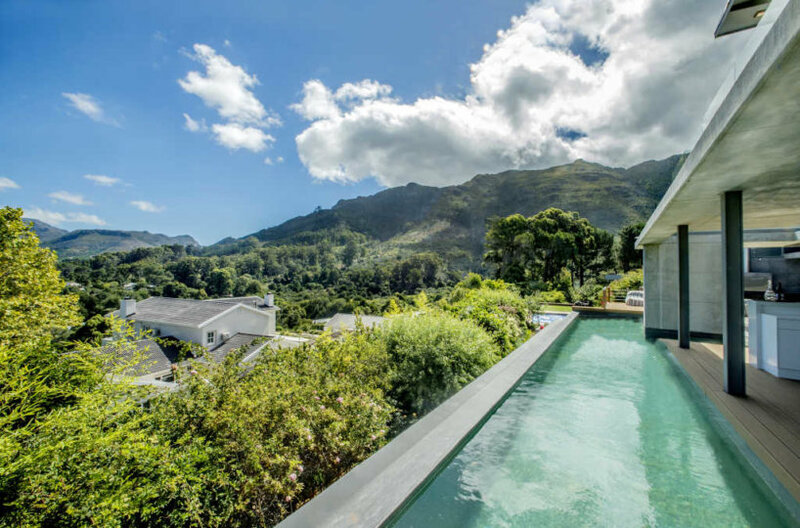 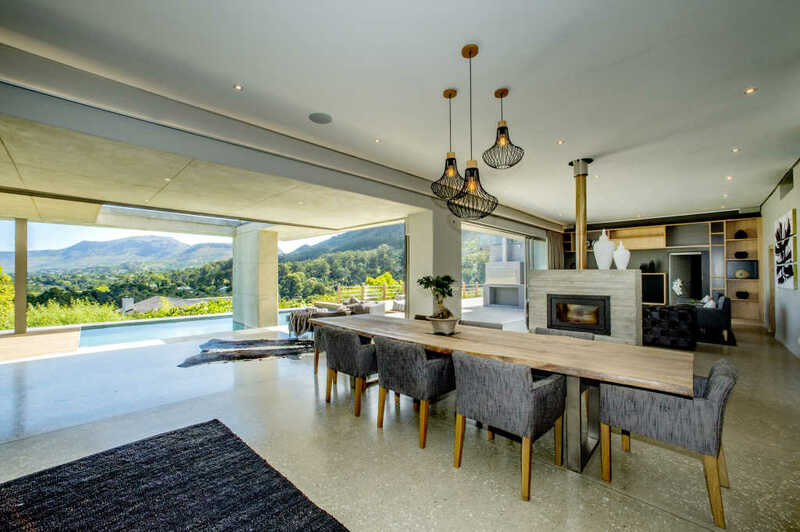 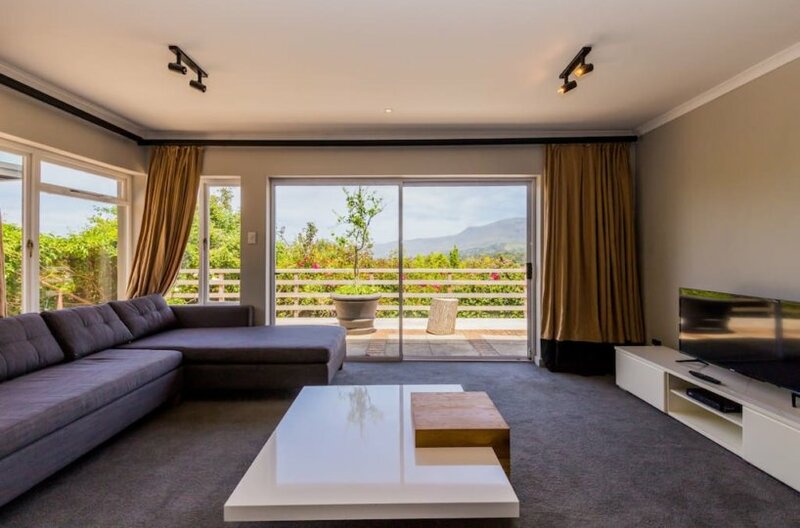 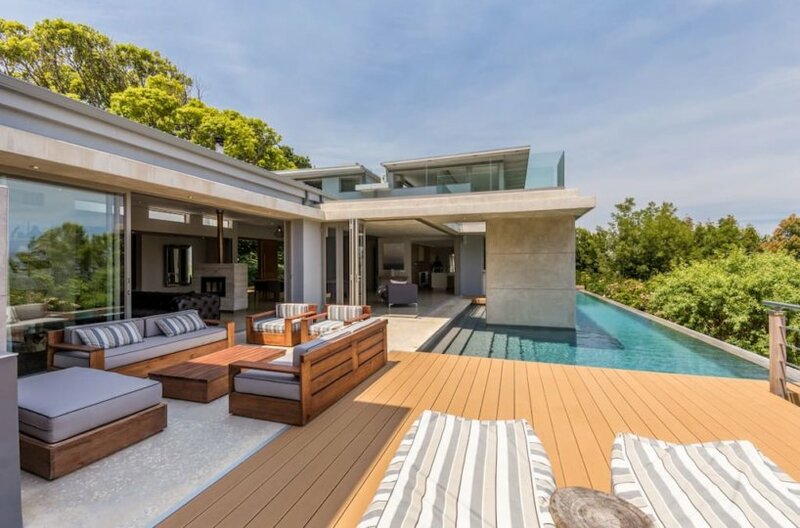 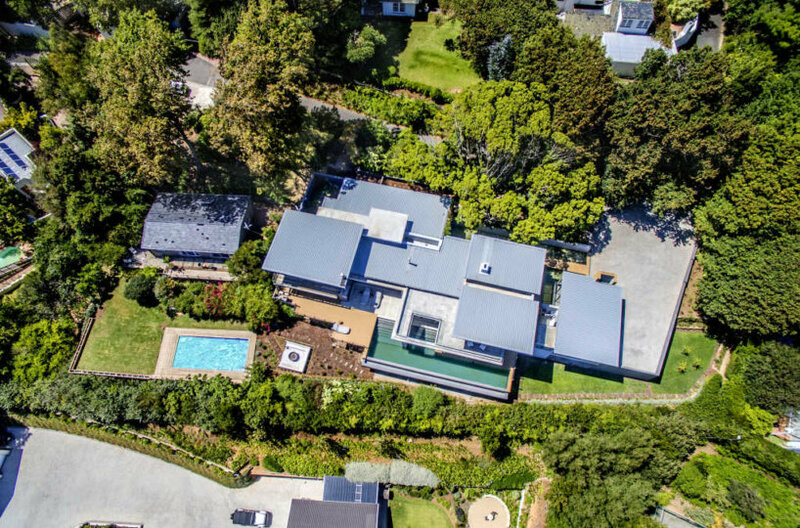 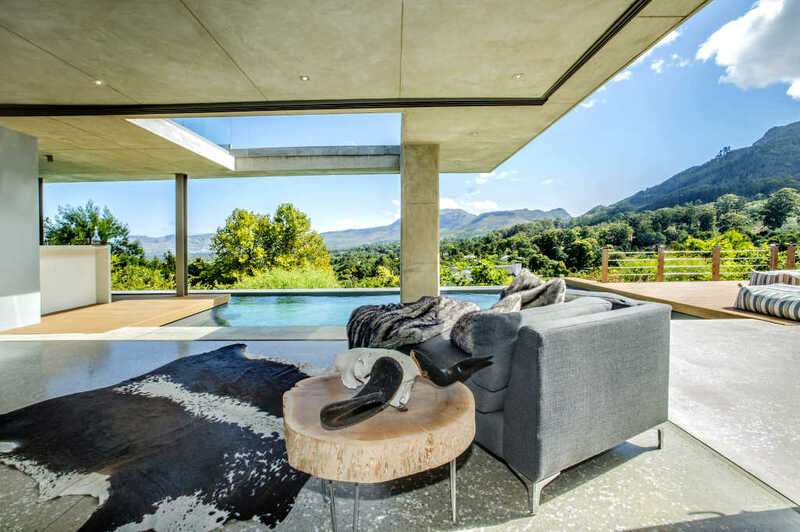 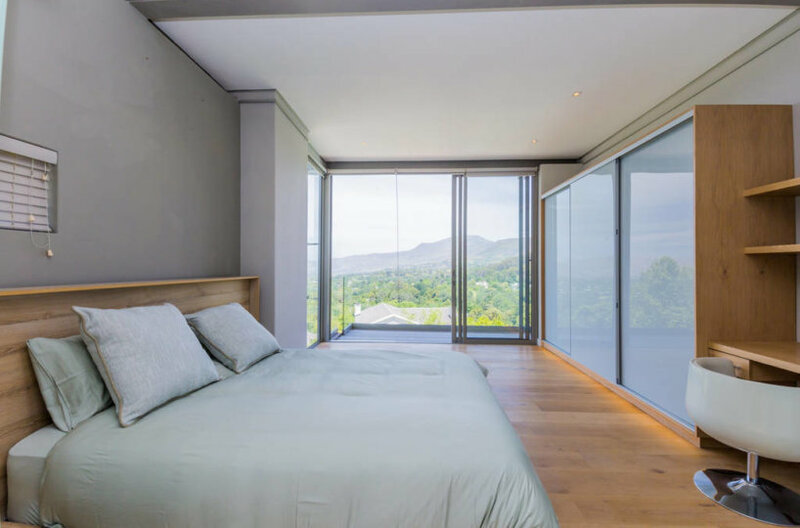 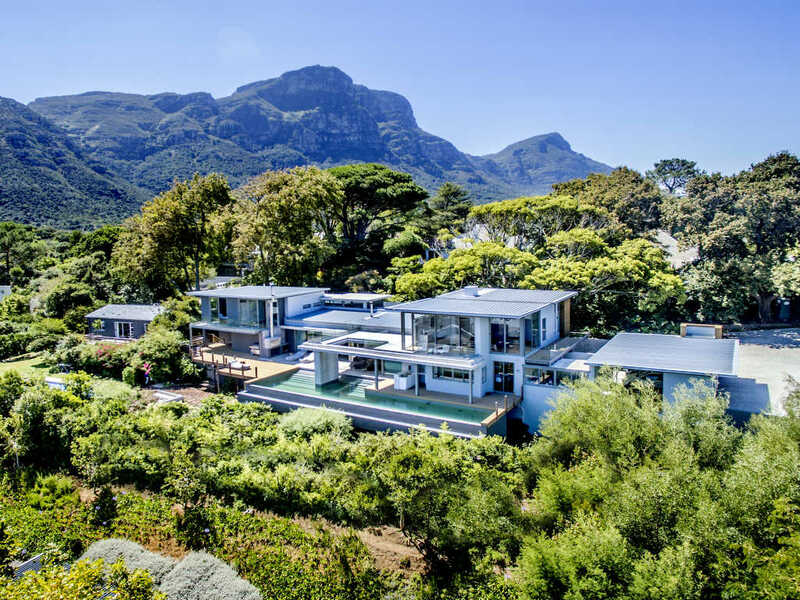 This mansion is nestled in a peaceful and tranquil atmosphere of indigenous gardens on the slopes of the mountains in the upmarket leafy suburb of Constantia, one of the oldest wine regions in the Cape. 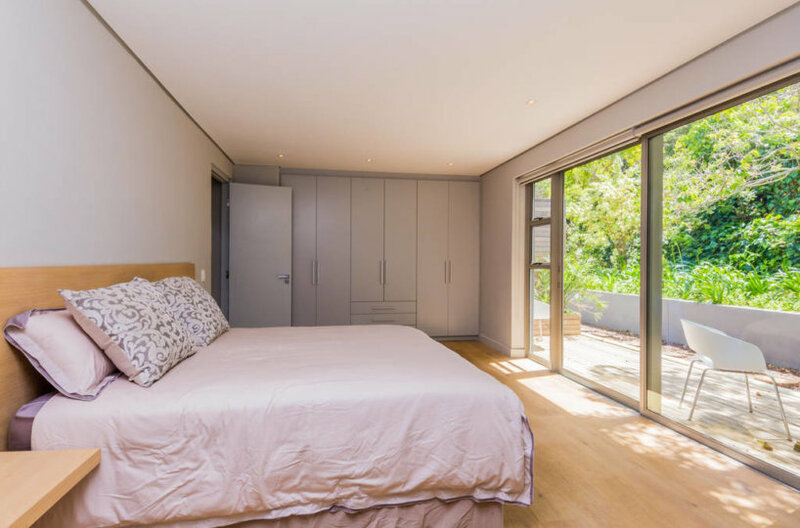 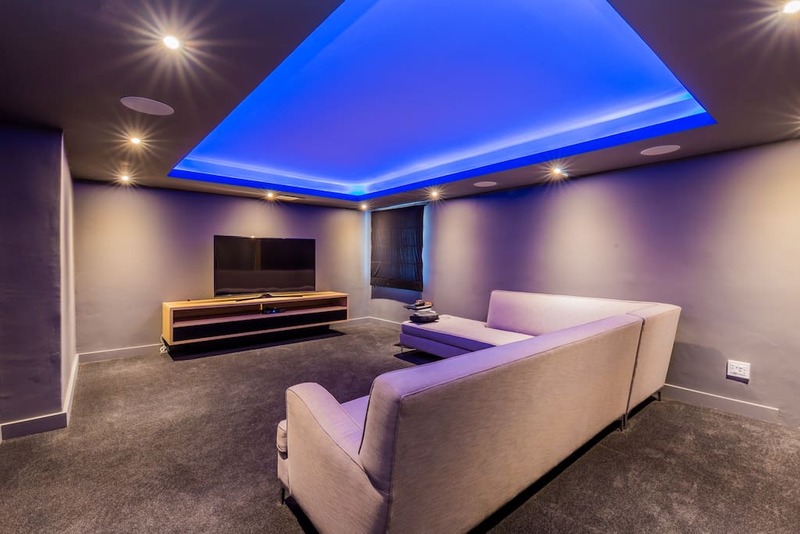 It is close to modern shopping malls and world class restaurants. 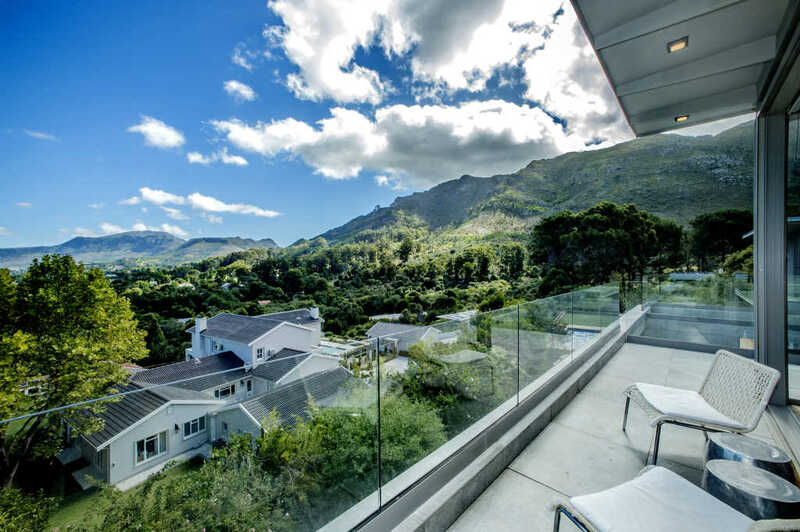 With easy access to the freeways, allowing visitors access to all the attractions the Cape has to offer.